Last night I walked into a room of about 400 women in full-flow, not knowing a soul. It was a daunting prospect, to say the least. I had found myself at the inaugural event for the Hub.London, an informal networking group for women. 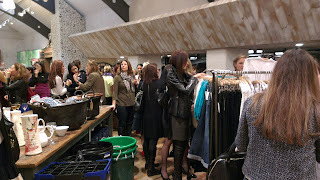 It all transpired on the Byzantine shopfloor of the American retailer Anthropologie on the King's Road in London. Buffeted by the vibrations of female chatter, I cruised the shop displays, wondering how on earth I was going to assimilate myself. The friend who was meant to accompany me had broken her ankle so I was adrift in this sea of designer handbags, elegant heels and ironed hair. But you can only mooch about Mediterranean stoneware and assorted doorknobs for so long - at some point you are obliged to join the party. The Hub.London is the brainchild of Simona Barbieri, a marketing whizz and an Italian force of nature who commanded the microphone with gusto. "Un-bel-ievable," she greeted us from a platform above our heads. We all buzzed back agreeably. "The Hub.London is the new way and the oldest way to meet new people," she told us. "We are connecting in a natural way and we are non-selective." Apparently the concept started with a coffee morning last June where Simona invited a group of women to her house to socialise and swap ideas. She was expecting about 30 and 98 showed up. Simona is driven by the desire to connect with other women "for real," leaving behind LinkedIn and all the other tangled webs of social media. On arrival at Anthropologie, we were given coloured stickers to denote our priorities - I chose a green dot to indicate I was "here to be inspired" and a purple dot to show that I had a story to tell (my book). Armed with my stickers, I launched myself into the crowd. Within minutes, I hooked up with some Mexican ladies (one was selling Mexican food to up-market retailers), a new mum with a "madcap idea" (I won't disclose it here) and a homeopath who regularly leaves her surgery in London to treat people in Gambia. Back on the platform, our first guest speaker, Anna Murphy, editor of Stella magazine and executive editor at The Sunday Telegraph, beguiled us with tales of women "defined not by their age but by their attitude." Ahead of the gathering, Anna had asked Simona: "Who are these women and where are they in their lives?" Simona replied, "They are everything." We hear a lot about male entrepreneurs, unequal pay and glass ceilings - last night was refreshing because it was all about women and what they could achieve. A handpicked posse took to the platform to inspire the crowd with their stories. In a nice touch of irony, they had one minute to tell them before getting drowned out by Queen's Don't Stop Me Now. These enterprising females ranged from 'Emily' who changed the lives of young gang members to 'Ella' who went to Kenya, fell in love and set up safari tours. The objective of course was to find someone in the room aligned to your particular interests. Simona had already told us about the artist and the high-net-worth individual who met at the coffee morning back in June. Now the individual is investing in the artist's website. Life is a lottery - our chances come and go and we don't always seize them with alacrity. The Hub.London is a way of corralling some of those opportunities, all in the spirit of sisterhood. I came home with some nicely packaged stoneware, an Anthropologie loyalty card and the promise of a few more open doors. Emma Clark Lam is the author of the novel, A Sister for Margot. Sounds good. 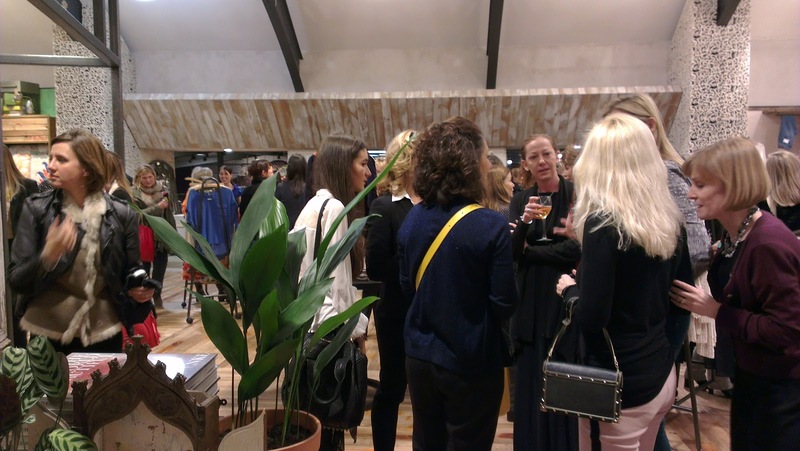 Ever thought about going to the Women in Publishing events? No, I don't know about those. Do you go to them? Useful?